Andy has been fishing his whole life. 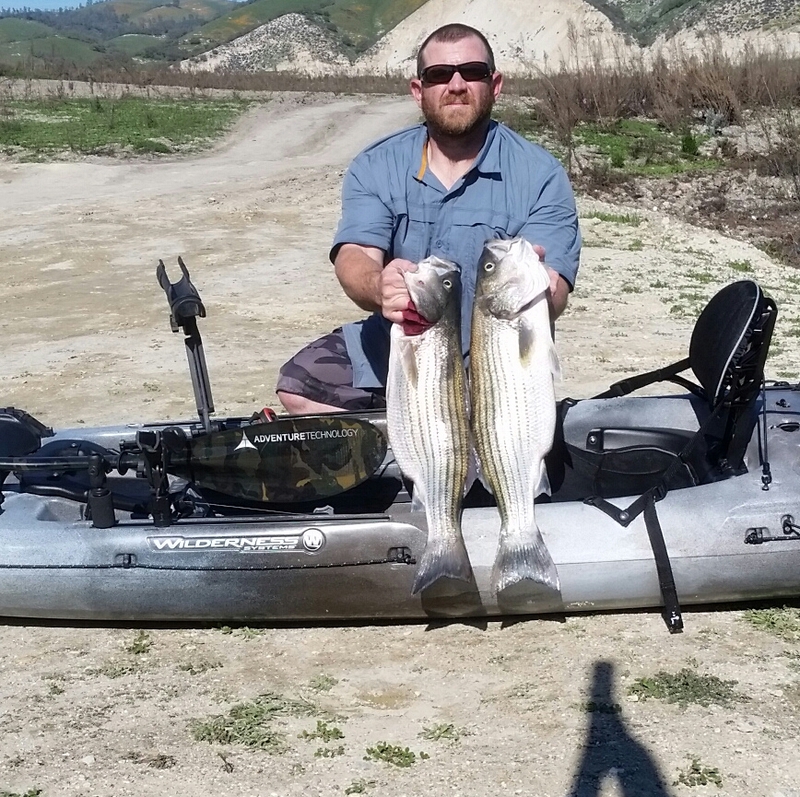 He started kayak fishing in 2005 in a borrowed boat and was hooked immediately. He has been a member of CCKF from the beginning and has really enjoyed seeing this forum grow along with the sport. Andy is on the Wilderness Systems and Adventure Technology Pro Staffs, and also a volunteer guide for the Central Coast Chapter of Heroes On the Water. He currently fishes a Thresher 140 w/ rudder. Andy really loves fishing the salt up and down the Central Coast and chasing everything from white Seabass to Perch and everything in between. It is hard to beat the fun of a wide open Rockfish and Lingcod bite. He also loves to hit the lakes when not on the ocean. Andy says he really likes throwing swimbaits and irons. Andy Seabass caught right off Pismo, and Stripers at San Antonio. Please feel free to contact him on the forum if you have any questions, or just want to say hello.